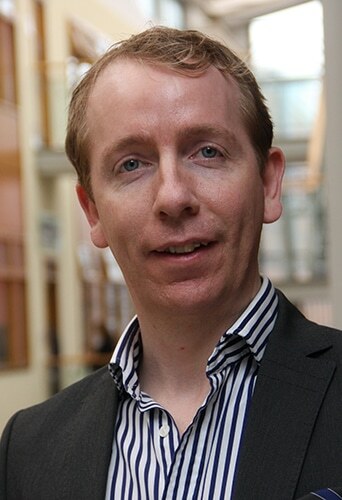 Dr Mark Cummins is a Lecturer in Finance at the Dublin City University Business School and Programme Chair of the Graduate Certificate and MSc in Sustainable Energy Finance and the Graduate Certificate in Management (Sustainable Energy Finance). He holds a PhD in Quantitative Finance. Mark is published in targeted international journals such as Applied Energy, Land Use Policy and the Journal of Energy Markets, as well as international finance journals such as Journal of Financial Markets and Quantitative Finance. Mark has previous industry experience working as a Quantitative Analyst within the Global Risk function for BP Oil International Ltd., based in Canary Wharf, London. As part of the Risk Quantitative Analysis team, his primary responsibilities included derivatives and price curve model validation and development, with a global remit across BP’s oil, gas, power, commodities and carbon emissions activities. Mark’s research interests lie in a number of areas spanning numerical finance and econometrics. He has a keen interest in a broad range of energy modelling, derivatives, risk management and trading topics. He also has a growing interest in the area of sustainable energy finance, with particular focus on the emissions markets and real options valuation of resource projects. Linked to Mark’s industry experience, he holds additional interests in the areas of model risk and model validation.